So cute! Love how his ear curls downward! Thanks for joining us at Die Cuttin' Divas this week! I'm sure your friend LOVED this Bunny Treat Box. I always Love seeing your creations. Hope you had a wonderful Easter. Oooh this is sooo adorable !! What a cutie! I love that sweet face and those cute little ears. The twine looks great also - what a wonderfully sweet treat for your friend! Oh, my gosh, so cute! Looks like it was a lot of fun to make. Awesome rabbit! Thanks for linking up at Die Cuttin Divas. What a cutie you have here. Love the face and design. What a super cute bunny treat box!! Thanks for joining us at DCD this week! OMYGOSH!!! This is ADORABLE! I love it! I hope you had a wonderful Easter!!!!!!!!!!!!!! This is such a cute cut! Love the papers and sentiment you chose for him! 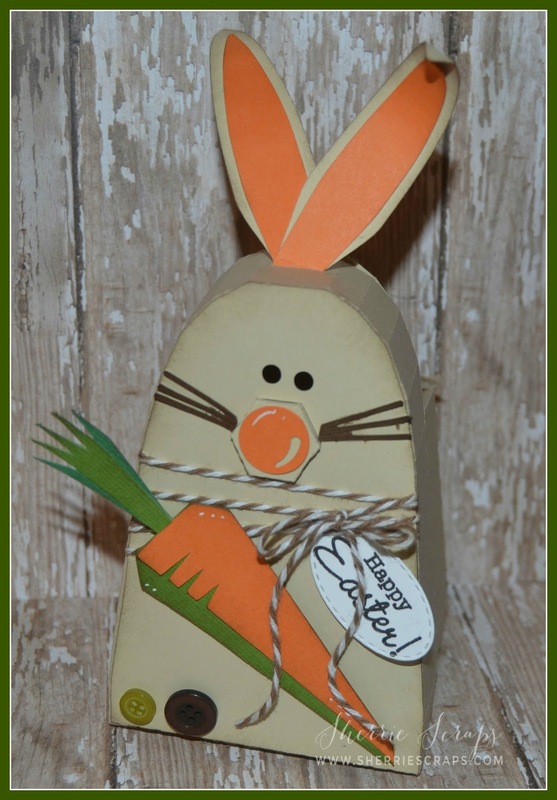 So happy you joined us at Cut It Up Easter Bunny Challenge. This is so sweet, Sherrie!! I love the adorable bunny!! The curled ear is an awesome touch!! I love how the carrot looks dimensional!! What a fun project this is!! I so need to use my Explore more...you always inspire me after I see your fabulous projects!! 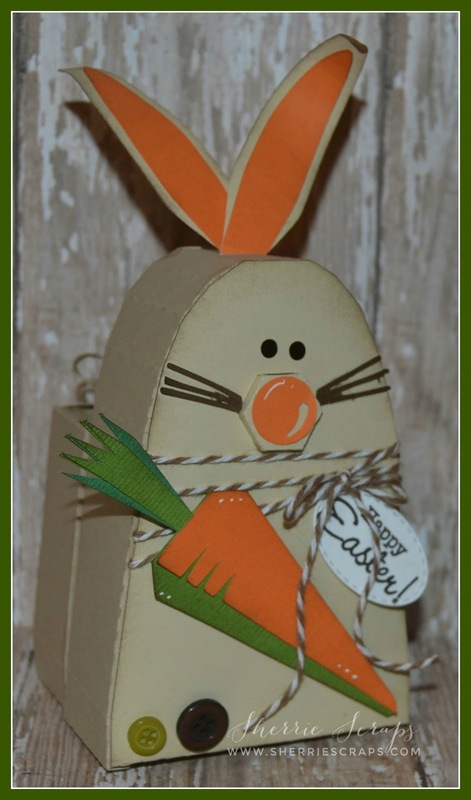 Such a sweet little bunny box!! Hope you had a wonderful, blessed Easter!! Your bunny box is so sweet!! Your friend must have loved it!! Adorable project! Your bunny treat box looks amazing! Hope you had a lovely Easter! Sherrie this is so cute!!! What an awesome treat box! 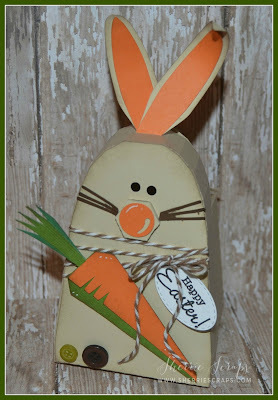 Love the twine and the colors! I hope you had a great Easter my friend! Hope Easter was a blast, I'm sure those grand babies make it so much fun! We had a great time here at our place, beautiful weather (sorry) and lots of love and laughs! What an adorable Easter tree box, it's so cute. Thank you for joining our blog challenge at SweetStamps.com. Adorable Easter box. Thank you for joining us at Silhouette Challenges. LOVE IT!!!! I have that file but haven't made it yet. My craft room is half boxed up getting ready to move so I haven't been crafting much. Adore this soo much my dear friend !!! Oh my this is super cute ! !